Lewis Hamilton v Sebastian Vettel has been the story of the 2017 Formula One season and that duel looks set to continue in Bahrain this weekend. Baking temperatures greeted the teams for first practice, but as qualifying and the race take place in twilight few drivers appeared to set meaningful times. Vettel headed that session and stayed on top in the afternoon despite his car rolling to a halt with apparent electrical issues an hour into the running. Vettel was far from the only man to have issues. His Ferrari teammate Kimi Raikkonen needed a full power unit change between the two sessions, as did McLaren's Stoffel Vandoorne, while in the afternoon Carlos Sainz came to a smokey stop. The controversial T-wing fell off Valtteri Bottas's Mercedes and damaged Max Verstappen's Red Bull while Lance Stroll's Williams developed an overheating problem that turned his seat into a skillet. So tomorrow's race could be one of attrition, although the temperature is expected to be rather more comfortable. Hamilton has taken pole position for both races this season, but he had to produce one of the finest laps of his career to do so in China last time. Hamilton is odds-on favourite for what would be his seventh straight pole position and although he didn't seem to be going flat out in practice he had a pretty low-key day by his standards. 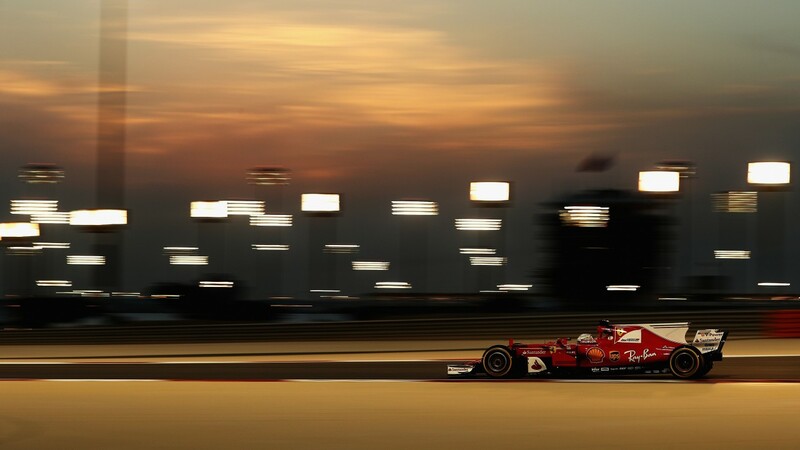 Ferrari have found the Sakhir circuit to their liking in recent years. Kimi Raikkonen has finished second there for the last two seasons, while Vettel split the Mercedes in qualifying in 2015 when the Silver Arrows' advantage was considerably greater than it is this year. Raikkonen is tempting each-way, but it's easier to be confident about Vettel taking his first pole of the season at 5-2 as the German seeks to gain an edge in the burgeoning championship battle.